The world of mermaiding is expanding! Everywhere you look there are statues, myths, and now mermaid classes to make your dreams come to life. Check out these top places in the USA to learn how to swim, and become more like a mermaid. Every corporation focuses on different skills and age groups. Some include photography and even choreography for synchronized swimming. Make sure to check out the link included for more information. Classes include multiple levels of mermaid training from beginner to advanced. Classes include adult and kids 2-day camp classes. Turn two feet into one mermaid tail at Dolphin Swim Club’s Mermaid University! Merpeople of all genders, ages, and abilities will learn to float, twirl, spin, and swim safely while living out their mermaid dreams! Hour long classes are held the second Friday of every month, you can sign up for as many sessions as you like! Classes include Mermaid 101 with basic movements and then Advance mermaid classes. photography master classes and professional mermaid entertainer certifications. Location: Los Angeles, Near Hollywood California with “on site” set and private party delivery options throughout California. Classes include a 2 hour private class for kids and adults. Photos included. Classes for kids to professional mermaids. Usually a 2 day course for various skills. 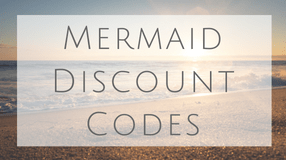 Introductory mermaid classes from age 7 and up. 2 day camp for kids and adults at the famous Weeki Wachee springs! They share their love of mermaiding and Hawaiian culture. 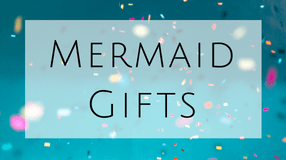 Their passion is to Inspire, Encourage and Inginte others to be the best Mermaid they can be! 60 minute class for kids learning mermaid skills like safety and tail care, basic mermaid movement, and tail imaginative play. Jenna’s mission is to spread joy and love to the water, to everyone, and to encourage them to pursue their mermaid dreams. Jenna believes in empowering girls and woman to live their best life and in true happiness. Mermaid Dream Retreats teaches all skill levels mermaid swimming technique, safety, conservation, and practical ocean ambassadorship in their one of a kind private and group retreats. Students receive a diving certification for Mermaiding through the National Association of Underwater Instructors (NAUI). Certifications: Lifeguard (first aid CPR AED), skin diving instructor, rescue scuba diver, and marine biologist. Great site! Thank you for listing AquaMermaid! Very interesting mermaid post. Congrats!